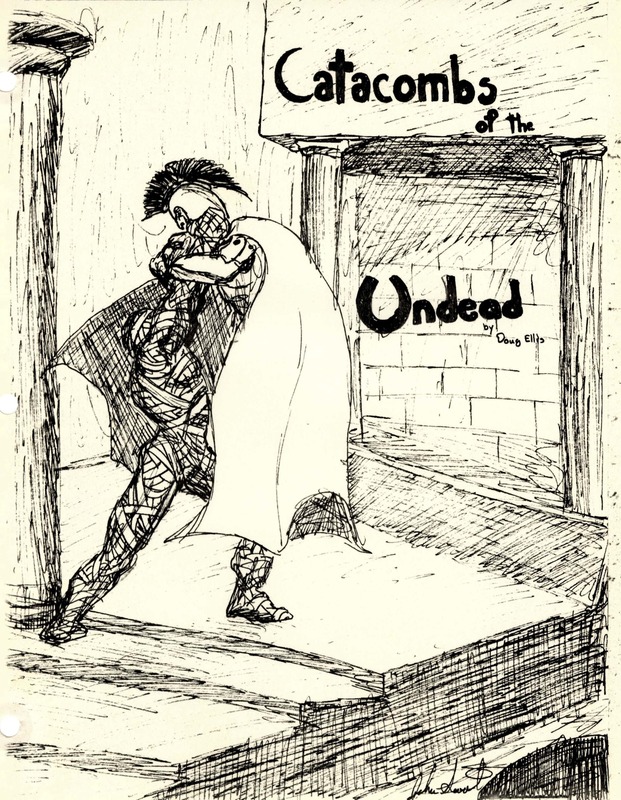 He ended up doing two possible covers, one of which I sent in to JG with the dungeon. 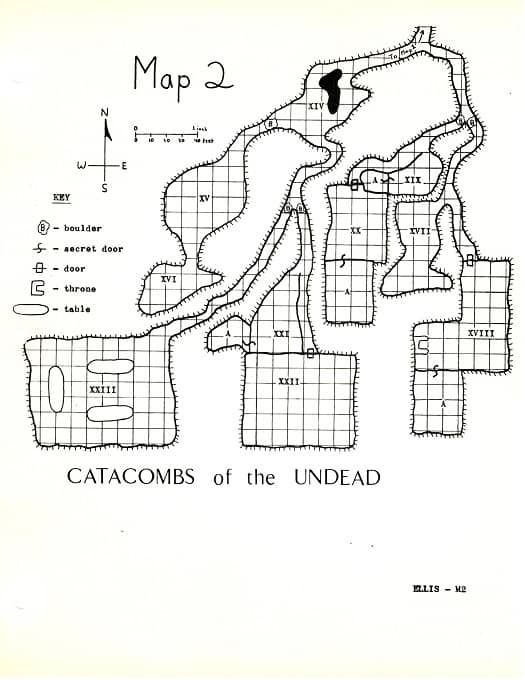 The other one I kept and found again yesterday buried in an old notebook. So it’s definitely the first entry in my original art collection! 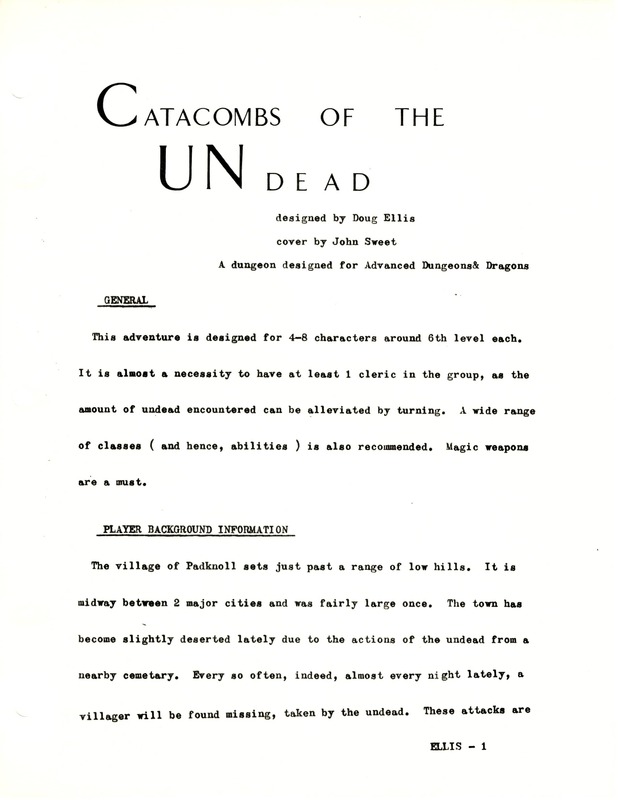 I’ll post it below, and above I’ve posted a xerox I also found of John’s cover that I did submit to JG. 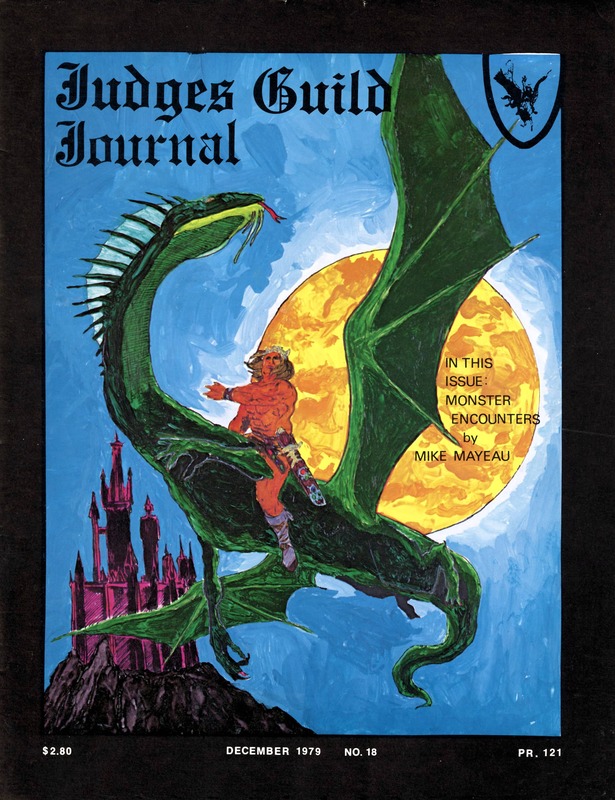 A few months after I sent the dungeon in to JG, issue #21 (June-July 1980) of the Journal arrived in the mail. 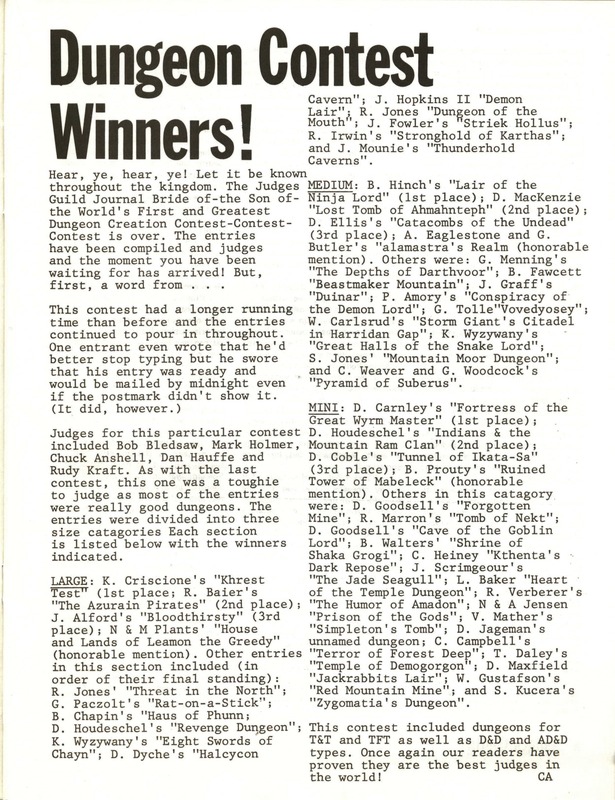 In it, they announced the winners of the contest. 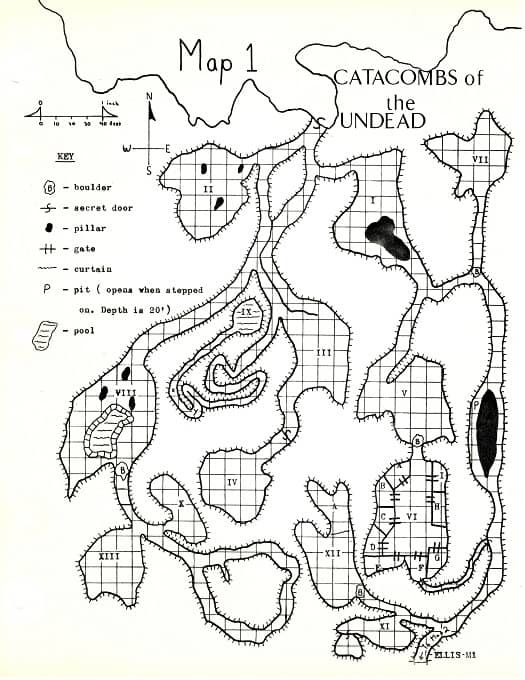 “Catacombs of the Undead” took 3rd place in the medium dungeon category. 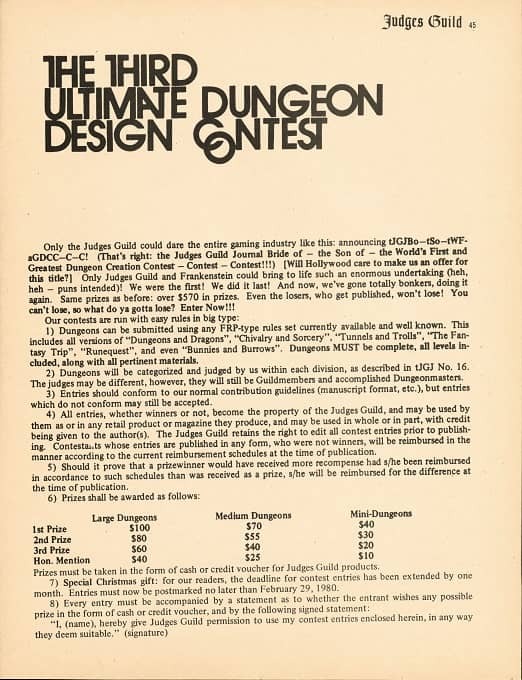 I remember being pretty pleased, and was even more pleased when a few weeks later I got a voucher from Judges Guild for $40 worth of their products. I don’t remember what I bought with it, but since I was buying a bunch of their stuff, I’m sure it went to good use. 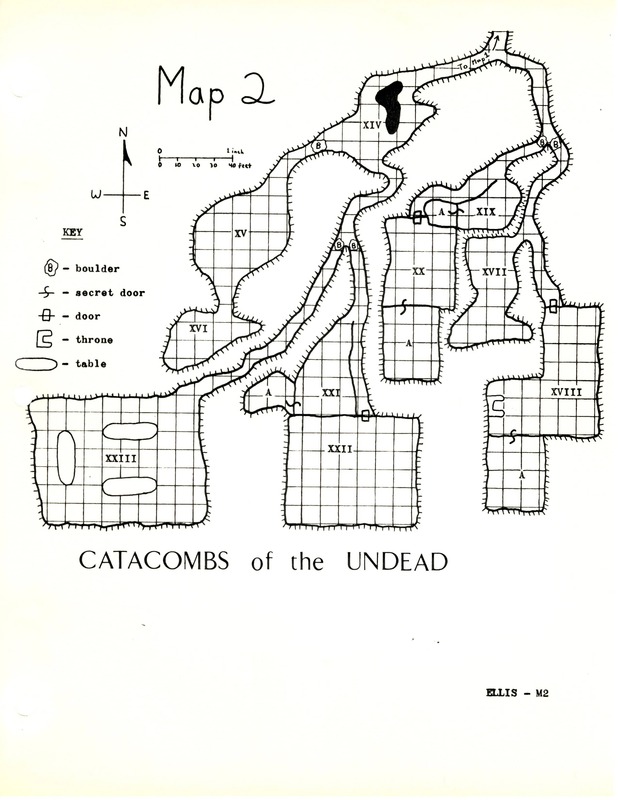 Stumbling across this yesterday certainly made for an enjoyable voyage down memory lane! Doug’s last post for us was Mel Hunter and Hal Clement’s Needle. I very belated congrats on your third place! I like the cover you chose. A nice walk down memory lane. I have an almost complete collection of The JG Journal. 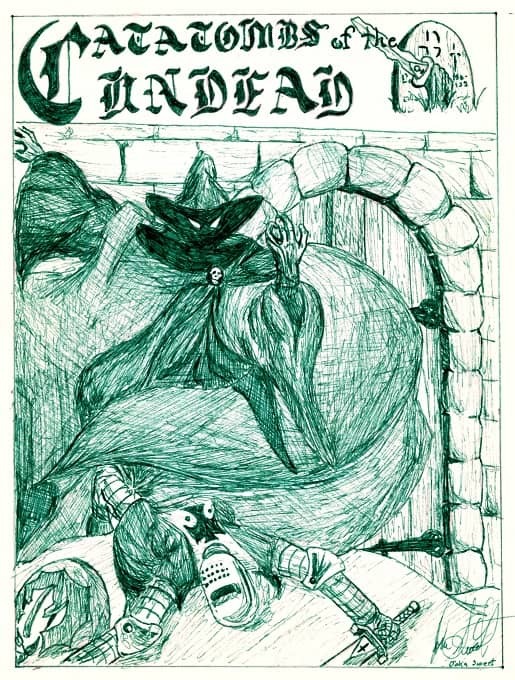 My white whale is issue 17. Maybe some day, I’ll get to read a copy. 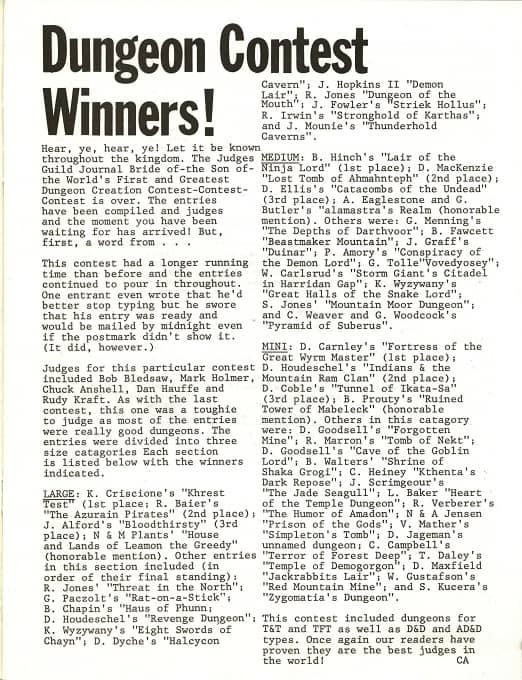 What is very interesting about this contest is that the second runner up was Bill Fawcett with “Beastmaker Mountain.” If that is unfamiliar, that is the very same module that Bill and Darwin Bromley used to start the Role Aids line from their company, Mayfair Games, three years later in 1982. Paczolt’s Rat-on-a-Stick eventually got published by Judges Guild, also in ’82.